Research indicates that reading fiction promotes empathy. Picture books are an ideal way to both expose children to diverse cultures and talk with them about struggles people face locally and globally. These three book lists ― curated by Common Sense Media, National Public Radio and the Cooperative Children's Book Center―are a good place to start. While reading, pause to ask questions such as, "How do you think she feels right now?" or "What do you think he needs?" When children take on different imaginative roles they quite literally practice putting themselves in someone else's shoes. When parents talk about how they are thinking and feeling, it helps their children's "theory of mind" development. The gang learns about hibernation from Gracie the Toad! 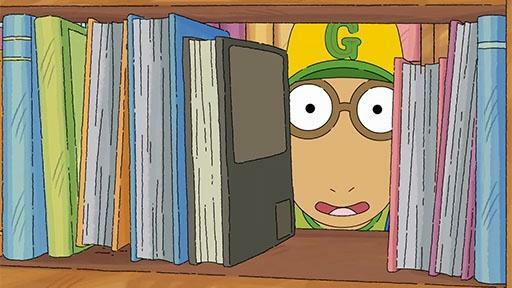 Arthur attempts to dodge his friends at the library after winning free concert tickets.